about a month ago i installed stance coilovers and spc fornt uca and rear lower arm and toe bolt. after alignment the driver side tire is still preety cocked. i didnt install the shim kit that come with the front arms. is that the problem? The passanger side looks fine its just the driver side that looks off. thanks for any advice. 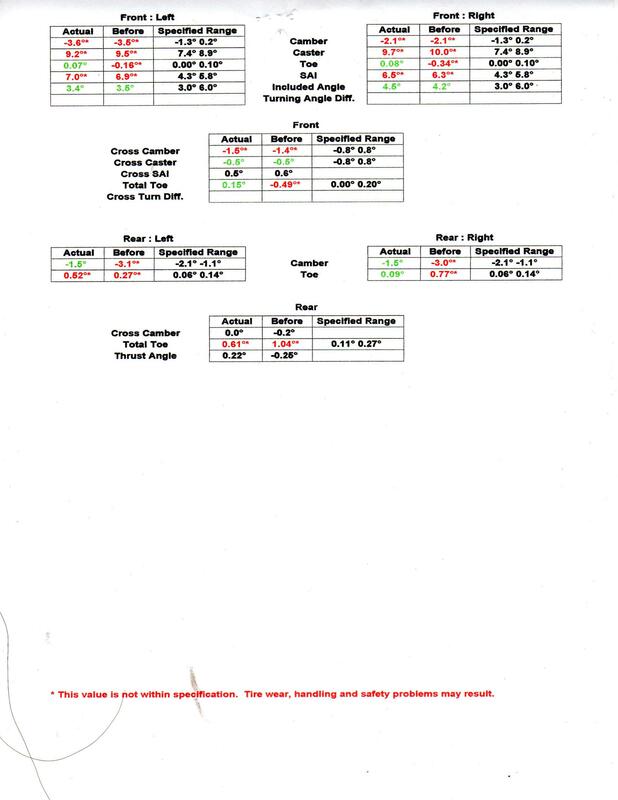 From your spec sheet it looks like there was nothing adjusted regarding your front camber and the angle between your front tires should look different considering there is a 1.5 degree difference. Looks like the alignment tech is clueless and shouldnt even be working on lawnmowers. Take the car elsewhere for an alignment. ok so take it some where else. should i still install that shim kit before taking it, because the adjustments are maxed out on the control arm. 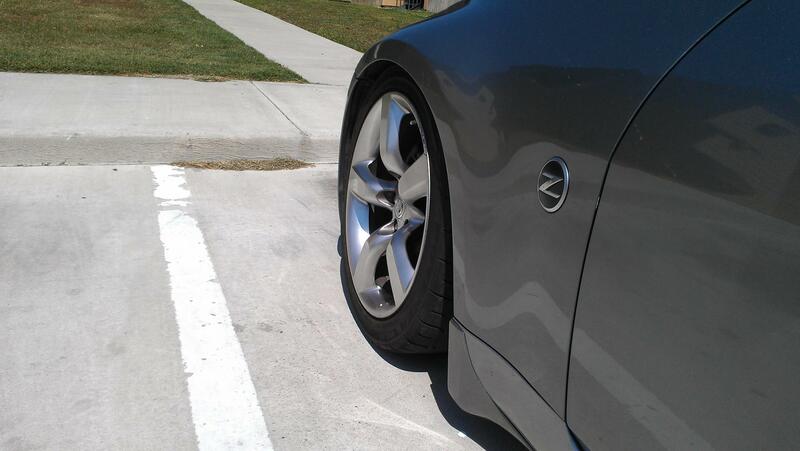 Since your asking for advice, would you entertain raising the car any to help with the negative camber? 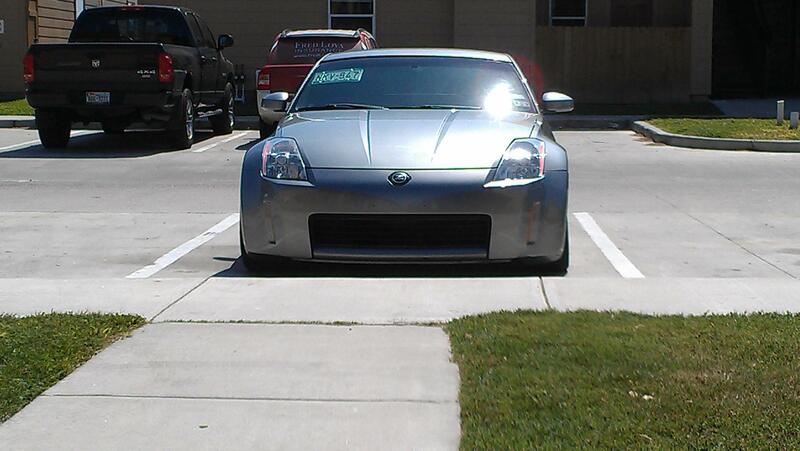 Looks way too low in my opinion. Have you contacted SPC and asked them since they designed the arms/shims? That is where I would start. Ok I found what I was looking for. 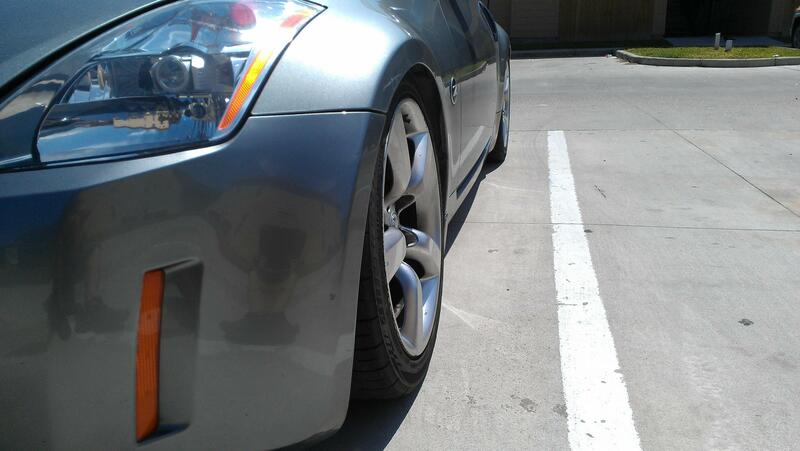 The shims add another 2 degress of camber so ill be putting those one, and also adjust the caster while I'm at it. Thanks guys.